Last week we played around with some Fall neutrals, but what about the warm, rich colors of fall? We LOVE the combination of cranberry/burgundy with a burnt or pumpkin shade of orange. So much so, that Jen used this combination for her very own wedding. 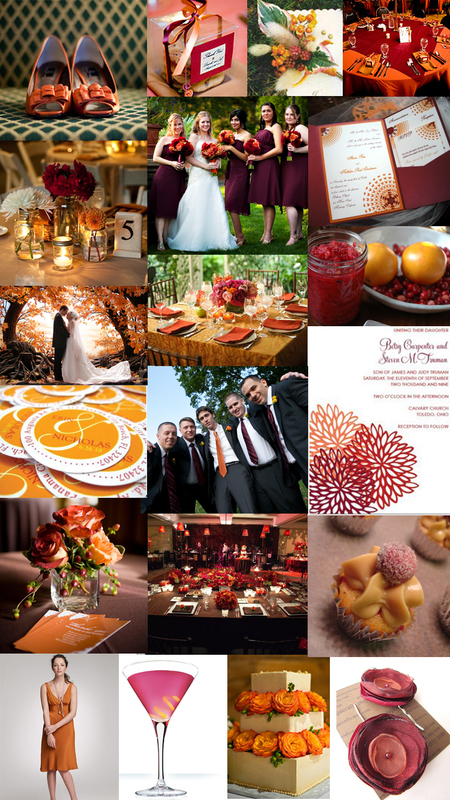 Orange is becoming a huge trend in weddings, and pairing it up with another traditional Fall shade, like burgundy, insures your wedding will channel the spirit of fall in a way that is modern and tasteful.